Even if your divorce goes exactly as planned when you are initially undergoing it, there is no guarantee that modifications might not be necessary later on, as the lives of all involved may change and grow. If you or your spouse needs to make a modification to your Nevada Decree of divorce, it must be done affirmatively, usually with the aid of an attorney. In addition, certain aspects of the Decree of Divorce cannot be changed at all, such as a property division. There are very limited and specific exceptions to that rule. However, with certain caveats, alimony, child support and child custody can be changed. Not every modification that you or your spouse petitions the court for will be granted. State law governs the standard that must be met in order to proceed with a modification of your original Divorce Decree, and while the wording is fairly standard in most states, the underlying meaning may differ substantially. 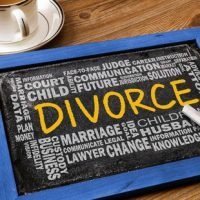 In order to successfully be granted leave to modify your Decree of Divorce with regard to Alimony and Child Support, you must be able to show “changed circumstances,” which under Nevada law is roughly equivalent to a 20 percent swing in the obligor’s income. Modifying child custody is slightly different than modifying either child support or alimony under Nevada law, though child support may often require modification if custody or visitation arrangements do change. Most of the time, modifying child custody is done when a parent encounters some life change that means they are unable to continue to have custody or have done something to render themselves unfit. However, there is another factor that counts arguably for more than a parent’s changed circumstances: the best interest of the child. In other words, the question that matters most to the court is whether or not the child will benefit from a change in custody arrangements. In Nevada, there is a requirement that your petition for custody meet the standard of establishing a prima facie case for modification under Rooney. In the Rooney case, the moving side was held to not have shown enough evidence to merit consideration of a modification of child custody, and the Court held that if the movant did not establish the need for a modification in their written pleadings, no hearing on the matter needs to be held. The ability to modify your divorce judgment matters a great deal, because life does change. If you need help with questions or concerns on how to get through the process, the skilled Las Vegas family law attorneys at the Kainen Law Group are happy to assist. Contact us today to set up an appointment.